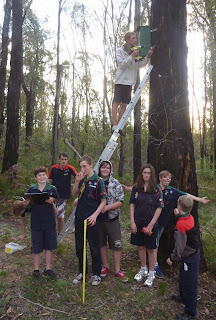 As usual November and December has been a busy time for our nest box project installing nest boxes with the Scouts and high school students. 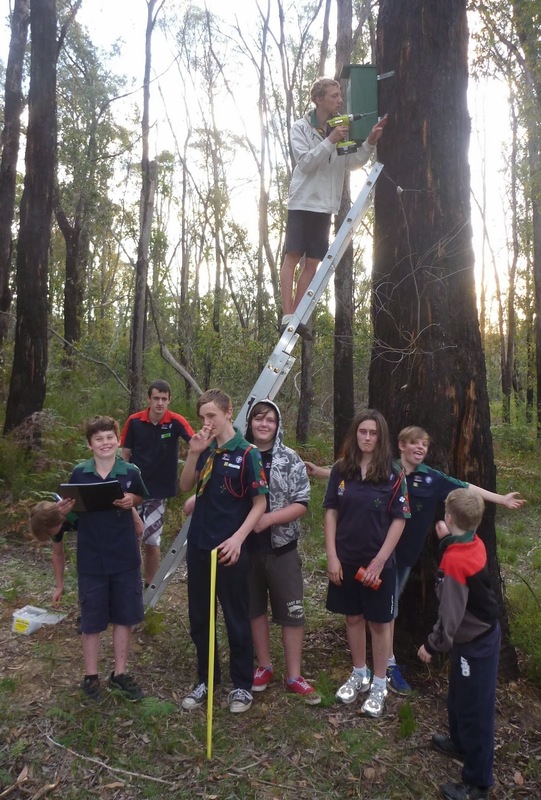 With the help of teacher Ken Aitken and the Yea High School Junior Landcare Group we installed 24 boxes that the students built on properties in Limestone, Kinglake and Strath Creek. With the Kinglake Scouts Junior Landcare Group we put up sugar glider nest boxes that the Scouts built on a property in Castella. We’ve also had help from Emerald College who built many Feather-tail Glider boxes which we installed with the students along the Taggerty River in Marysville. 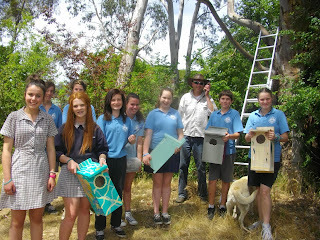 And a couple of the local primary schools have also been involved. Flowerdale PS students had an afternoon painting nesting boxes built by the Alexandra Cub-Scouts and we installed 6 nesting boxes at Buxton PS with great help from the kids. 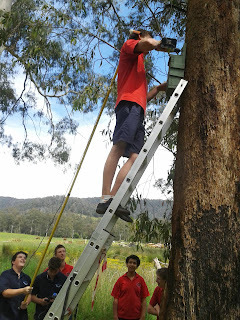 So with another almost 50 boxes installed over the last couple of months this takes our total to 475 nest boxes built and installed by volunteers on properties throughout the Upper Goulburn region since 2010. 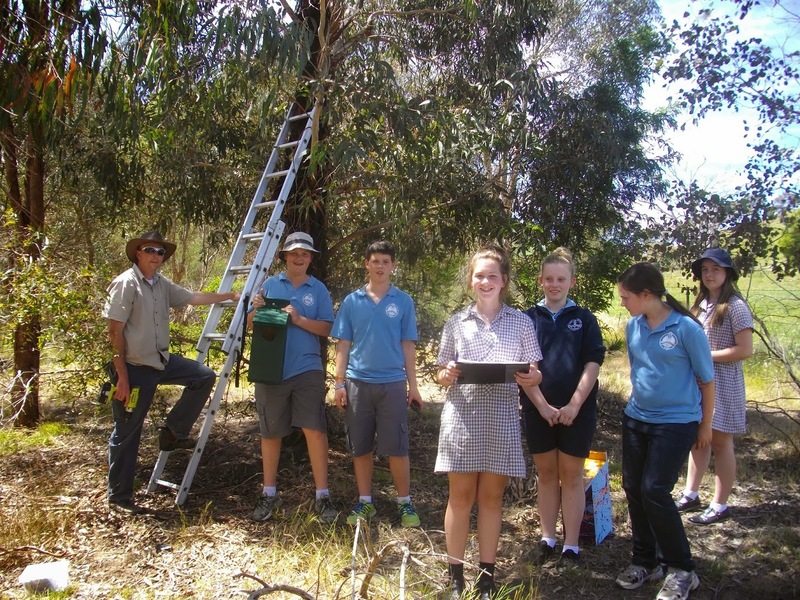 Stay tuned for the next post which will feature some of the exciting findings discovered recently as part of the monitoring component of this project. What high school are you with? You can contact me on the following details to discuss it further.